The beloved Groundhog didn’t see his shadow, so NYC has a few more weeks of winter left in 2019! 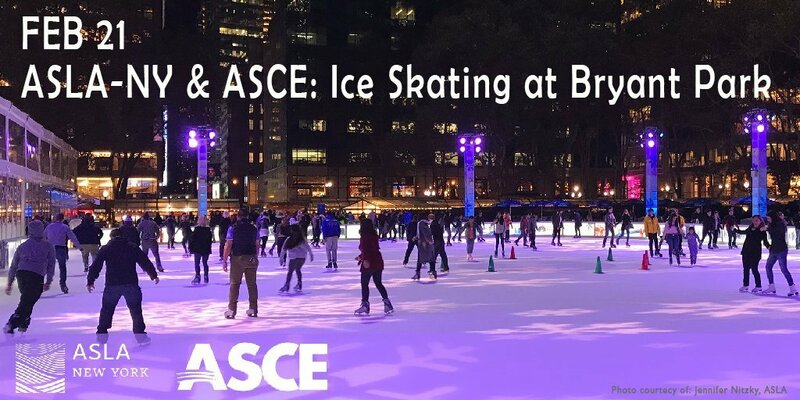 Join ASLA-NY & ASCE for an Ice Skating Event at Bryant Park on Thursday night, Feb 21! All are welcome, including ASLA Members, Non-Members, ASCE Members, Colleagues, Friends & Family! Admission is free to participants who bring their own ice skates. Event will take place rain or shine! !